The concept of memristic or memristor theory was implemented by Leon Ong Chua. He is a professor in the departments of computer sciences and electrical engineering at the University of California. The memristor switch performance was revealed by the scientists of HP lab while they were trying to discover the crossbar switches. The memristors are also known as matrix switches because it is mainly used for connecting several inputs as well as outputs in the form of a matrix. The Leon Chua professor had observed the models of capacitor, resistor & inductor. And he observed a missing part which is named as a memristor or memory resistor. The practical representation of this memory resistor was expanded in 2006 by the scientist Stanley Williams. This technology was discovered more than a few decades ago, although it got made-up in recent times. 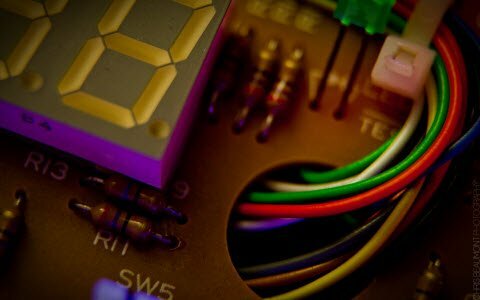 We know that every electronic circuit can be designed by using several passive components namely resistors, capacitors, as well as inductors, but there will be an essential fourth component which is termed as a memristor. 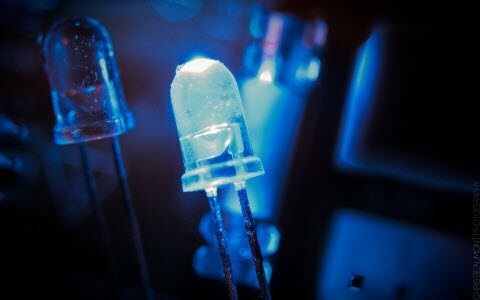 These are semiconductors used for jointing passive components to form a fourth component, and the resistance is named as memristance. 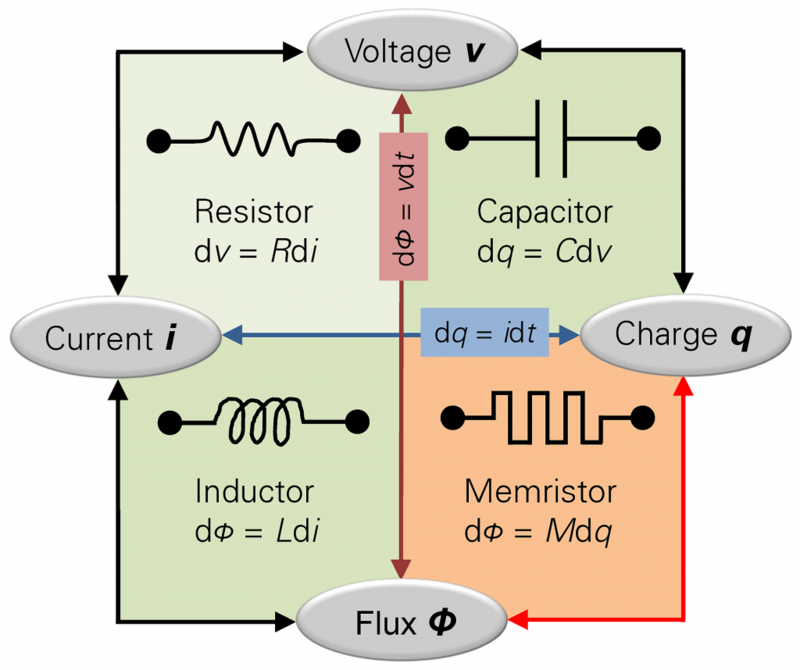 It is a resistance depends on charge in memristor circuits & the resistance unit is ohm. The full form of the memristor is memory + resistor. So this is called the fourth basic element. The major feature of the memristor is, it has the capability for remembering its state history. 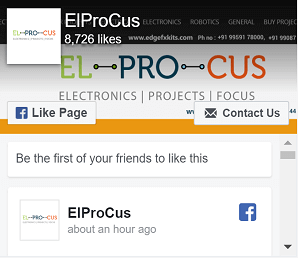 Therefore raising the significance of its improvement, these are very important that it would be compulsory to rephrase the existing books in electronics engineering. The construction of memristor is shown below. It is a two terminal component and the memristor working is, its resistance mainly lies on the magnitude, applied voltage, and polarity. As the voltage is not applied, then the resistance leftover, and this makes this as a non-linear and memory component. The above showed diagram is the memristor construction. The memristor uses a titanium dioxide (TiO2) like a resistive material. It works superior to other kinds of materials like silicon dioxide. 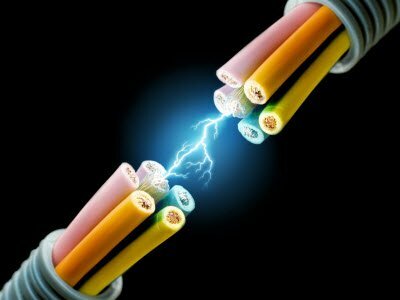 When the voltage is given across the platinum electrodes then the Tio2 atoms will spread right or left in the material based on voltage polarity which makes thinner or thicker, therefore gives a transform in resistance. 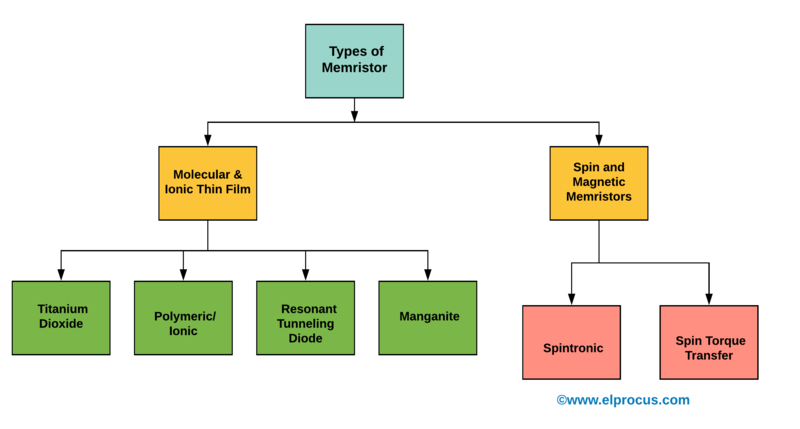 Memristors are categorized into many types based on the design and an overview of these types is discussed below. These types of memristors are frequently depended on dissimilar properties of the material for the slight film atomic networks that exhibit hysteresis lower the charge application. These memristors are classified into four types which include the following. These types of memristors use polymer type material or active doping of inert die-electric materials. The solid-state ionic charge carriers will flow in the entire structure of memristors. These memristors employ particularly doped quantum fit diodes of the break layers among the regions of sources as well as drain. This type of memristor uses a bilayer-oxide films substrate depending on manganite as reverse to TiO2-memristor. These types of memristors are reverse to molecule based and ionic nanostructure systems. These memristors will depend on the degree in the electronic spin property. In this kind of system, the electronic spin division is responsive. These are categorized into 2-types. In this type of memristor, the spin electrons way will change the state of magnetization of the apparatus which accordingly alters its resistance. In this type of memristor, the electrodes relative magnetization location will affect the tunnel junction magnetic state which in rotate alters the resistance. The advantages of memristor mainly include the following. Memristors are very comfortable with the interfaces of CMOS, and, they don’t use power when they inactive. It consumes less energy for generating less heat. It has very high storage as well as speed. It has the capability to memorize the flow of charge in a set of time. When power is disrupted in data centers, then it provides better resiliency and reliability. The disadvantages of memristor mainly include the following. It has the capability to learn however can also study the mistaken patterns in the opening. Since all information on the PC turns into non-volatile, so rebooting will not resolve any problem because it frequent times can with DRAM. This is a two terminal and variable resistance component, which is used in the following applications. Memristors are used in digital memory, logic circuits, biological and neuromorphic systems. Memristors are used in neural networks as well as analog electronics. Remote sensing & Low-power applications. They have their own ability for storing analog and digital data in an easy as well as power efficient method. 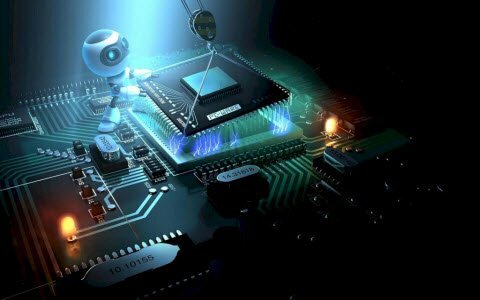 Therefore, in future, these can be applied to perform digital logic with the implication in its place of NAND gate. Although there is a number of memristors have been designed, still, there are some more to be perfect. Thus, this is all about memristor and its types. From the above information finally, we can conclude that a memristor can be used to store the data due to its electrical resistance level varies when current is applied. A normal resistor gives a constant level of resistance. 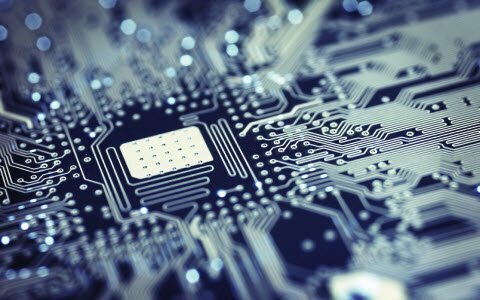 But a memristor has a resistance in high-level, which can be understood as a PC as one in data terms, as well as a low-level, can be understood as a zero. Therefore, information can be rewritten with current controlling. Here is a question for you, what is the main function of memristor?